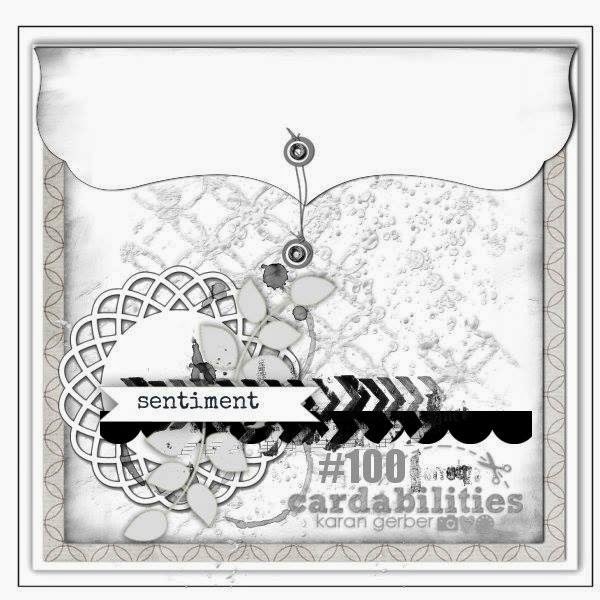 Today there is Sketch #100 on Carabilities and it is fabulous....I just love Karan Gerber fabulous sketches...so versatile and so easy to implement on your cards or other projects. Today I am sharing with you a card I made using Pickled Potpourri Designs. I love the beehive and sentiment that is being offered by Pickled Potpourri Designs and just love that I was able to color it with my Copic Markers. Don't you just love how my finished image fit so perfectly in the frame from Melissa Frances. I fussy cut all my flowers from a piece of Melissa Frances Endure Paper as well as my border punch using an EK Border Punch. Love a frame you used! Dear Pam, it's very beautiful card! I love it in every detail and I love the stamps that you used on it! Your take on the sketch is wonderful!